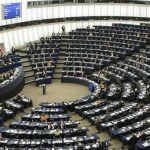 197 European lawmakers signed a statement on Monday, March 20th,2018, in support of the Iranian people’s uprising for democratic change. The signatories come from across the political spectrum, with members of all political groups in the European Parliament represented. Several Vice-Presidents of the parliament and Committee and Delegation Chairs were among the signers. Thousands of demonstrators calling for a free and democratic Iran and an end to fundamentalist rule were arrested. 14 protesters have since died after being tortured, leading Amnesty International to call for an investigation into the deaths of those in custody. The statement released today condemns the use of force against demonstrators and calls on the European Union to create measures to compel the regime to release prisoners who were arrested in the uprising, “uphold freedom of expression and association,” and end the repression of women, particularly the compulsory Hijab. It also calls on the United Nations High Commissioner for Human Rights to investigate Iran’s prisons and political prisoners, focusing in particular on those arrested during the recent uprising and those who died in detention. The statement is critical of the European Union for its silence toward human rights violations in Iran and urges the EU to take decisive action. The statement is being released on the occasion of Nowruz, the Persian New Year.